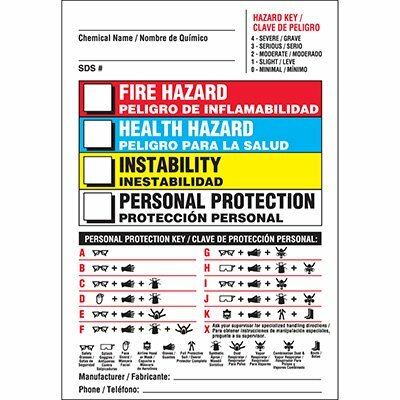 Comply with OSHA 29 CFR 1910.1200 by labeling all your hazardous materials. Employers are required by law to have all containers of hazardous chemicals in the workplace labeled, tagged or marked with the identity of the hazardous chemicals and the appropriate hazard warnings. 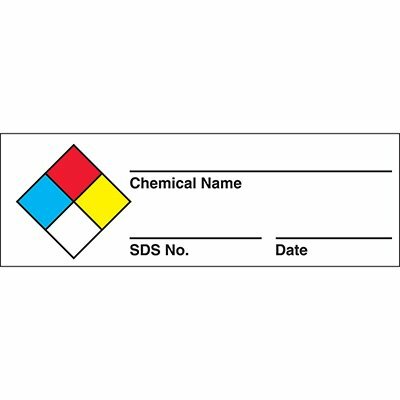 Choose from a variety of styles, shapes, materials for your hazardous chemical label needs. Seton provides custom labels if you do not see a standard one that fits your needs. To view our entire line of flammable storage and chemical safety products click here.